Piracy of e-books is slowing the growth of the e-book market in Russia, even as print publishers look to electronic versions to make money. Sales of electronic books in Russia are growing by leaps and bounds. 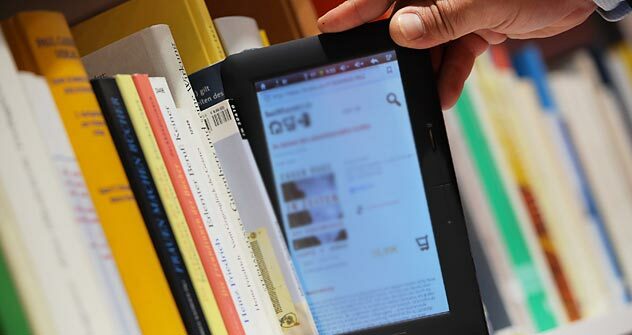 In the last three years alone, e-book sales have increased 12-fold. Receipts for 2011 were double the amount for 2010, totaling 135 million rubles ($4.5 million). However, the growth of legal sales is limited by extensive piracy in the sector. In Russia the share of illegal downloads of books is as much as 90 percent. According to the federal press and mass communications agency Rospechat, sales lost to piracy add up to several billion rubles per year. In comparison, the volume of illegal e-book downloads in Germany is 60 percent. In the UK, 29 percent of those who use e-book readers download pirated texts according to Entertainment Media Research, while according to an American Assembly Poll, in the U.S. this share is 46 percent. In a poll conducted by the Levada Center, 79 percent of respondents said they downloaded only books that are available for free, 18 percent said they paid for licensed versions only when the text they needed was not available for free, and a mere 0.4 percent said they paid regularly for legal content. Electronic books do not sell fast enough to make up for the losses from falling print runs. The success of Russia’s two largest commercial publishers, AST and EKSMO, depends on second- and third-rate literature as well as mass-market writers of thrillers and bodice rippers such as Daria Dontsova, Alexandra Marinina, Yulia Shilova and Tatiana Ustinova. Their combined print runs total between 10 and 20 million copies a year. Even first-rate writers and winners of prestigious literary prizes have to fight for print runs and support from their publishers. “Writers are being forced to produce with the speed of sprinters. Just look how fast Viktor Pelevin and Zakhar Prilepin are now writing,” Ad Marginem’s Mikhail Kotomin remarked recently. Both writers are now turning out two books a year, whereas in the past they might labor for years over a single volume. Books by popular science-fiction and fantasy author Sergei Lukyanenko are sold in both print and electronic versions. Lukyanenko can compare receipts from the various e-book sellers based on the results for his latest bestseller, “New Watch.” “Using four payment systems (Plati.ru, IMKHONET, Amazon and PayPal), I received (in the form of book payments and voluntary contributions) the very nice sum of $10,000. However, the first printing of “New Watch” was 120,000 copies. Therefore, the writer whose book comes out in an edition not of 120,000, but 12,000 will receive only $1,000 for a year’s worth of work,” Lukyanenko reported recently in his blog. At the same time, a print run of 12,000 copies in Russia today is considered very good. “In order to receive a worthy sum for one’s electronic books, the author must be wildly popular. If he’s wildly popular, he will earn so much on the sale of his print books that receipts from the electronic versions won’t matter that much,” said Lukyanenko. Print book publishers see the only way out this crisis is to develop the legal market for electronic books. To do this the number of quality digital publications must be increased and their prices must be lowered. Additionally, the procedure for buying e-texts must be made clearer and more convenient. Fighting piracy and the violation of copyright is very difficult since most pirate sites are registered abroad and are therefore outside Russia’s jurisdiction.